all the better for thinking about Spring! 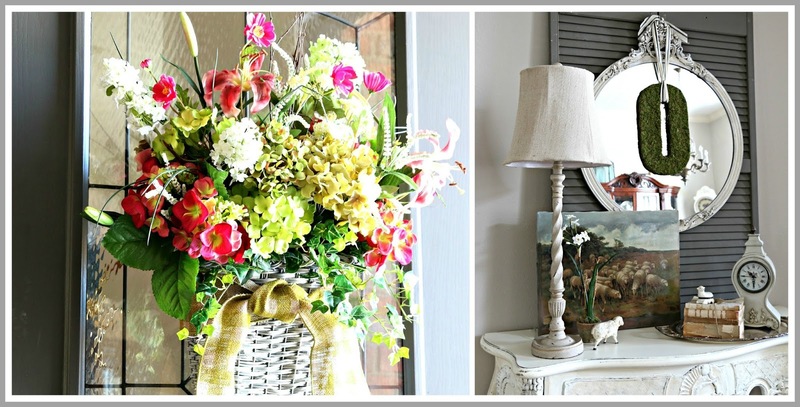 with these two posts on Spring Door Decor and a new Lamp for the Entry. by Carrie at Curly Crafty Mom. You'll want to see how she did it! Monday March 23 - Wednesday March 25. Spring posts and projects, past and present. Thanks so much for coming by to join in the party! Lynn from The Vintage Nest. As always, it's so hard to pick just a few posts from last week's party to feature as each and everyone is so special. Here are a few that caught my eye. 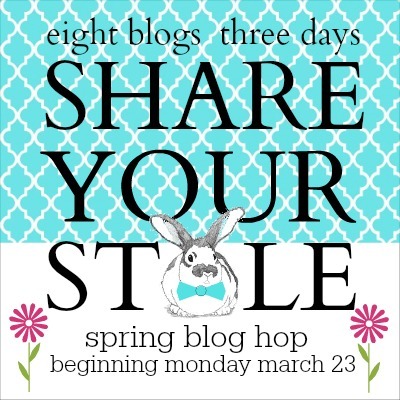 If you were featured please copy, save, paste this button, and share on your blog. Chateau Chic found a pretty vintage tablecloth recently and used it as her inspiration for introducing Spring into her home. So pretty Mary Alice. Sarah at Hyacinths for the Soul, says "sheep are wonderful reminders for us to slow down and enjoy the warm Spring sun on our faces". She shared a very interesting post all about sheep. When I think of Easter and Spring, not only do I think of bunnies and chicks but sheep too. I don't know about you but I am always looking for fun ways to decorate my family Easter dinner table. Zuni, of the blog Chickadee Home Nest, shared her Peter Rabbit Birthday Party. And I just loved the way she introduced a platter of fresh veggies at the food station. Spilling out of a big clay flower pot. Check out all the darling ideas at her party. Southern Seazons blog has set the table with the cutest bunnies. She found the plates at the grocery store of all places. What a sweet adorable place setting Jody. Doesn't this just scream welcome Spring? Thank each and every one of you fabulous bloggers for sharing your inspiration. So, let's get this party rolling for this week. 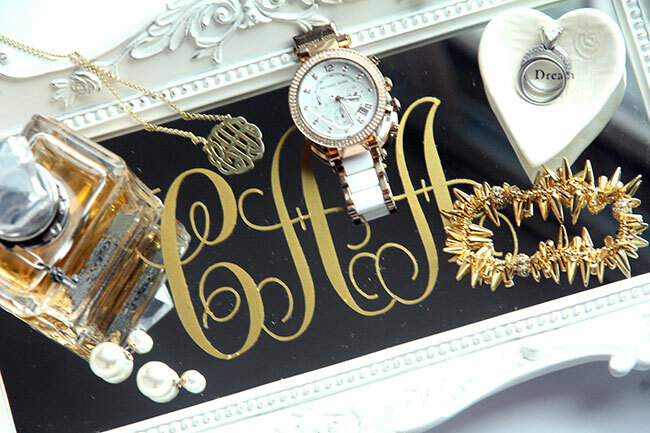 Can't wait to see what your STYLE is this week. 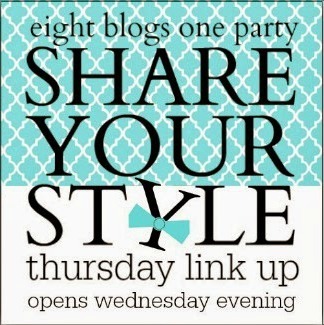 Thanks to all for hosting Share Your Style! Hey, you all - thank you! So many great hosts, and great link ups. Incredible, really. I absolutely adore Share Your Style! Thank you, dear friend for hosting (or co~hosting) each week!!! Each one fills me with inspiring, creative ideas for use within my own home!!! Thank you Debra and friends for Share Your Style 4. Great idea and so many wonderful posts to visit. Debra, thank you so much for featuring my bunny tablescape. I am so glad that you are back hosting. Thanks for the party! Thank you all for hosting. I came across your blog last week and was so excited to share this week on your link up. Great party! Thanks to all of you. Thank you Debra! I hope you're having a great week! Thanks for co-hosting this fun party. Thanks for hosting, Debra. I hope you are well. Lots of wonderful links this week! Thanks so much for hosting, Debra! Debra! So happy to see your partying again! I will be joining you. Thanks for Facebooking me and reminding me to hop over!